Since the Happiness Project for June includes developing and maintaining friendships, what better way to express appreciation for someone than to tell them? 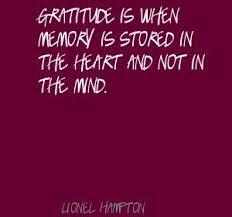 Gratitude strengthens connections between individuals, and I love to write! Thus, another 30 day challenge begins: Write 30 personalized gratitude letters to friends and family members. One letter per day, even though I plan to deliver the messages once a week, 7 at a time. 7/2/2013 Fell behind on the letters in the middle of June. “Hit the ground running” after Bonnaroo when we began to pack and move to the new place. Working on catching these up and focusing on resolutions for July…..this month will not feature a 30 day challenge, but maybe again in August. Way too much to keep me busy lately….. I absolutley adore this! I may steal and adapt slightly. STeal- to do it for my own personal happiness project in the friendship category. Adapt to keep a graitute blog!